One in every 88 children is diagnosed with autism, according to the CDC. Given these relatively high rates of occurrence, you have probably interacted with someone affected by the disorder at some point in your life. However, this awareness doesn’t necessarily make you immune to the following five myths surrounding disorders on the autism spectrum. "Autism is caused by vaccines." 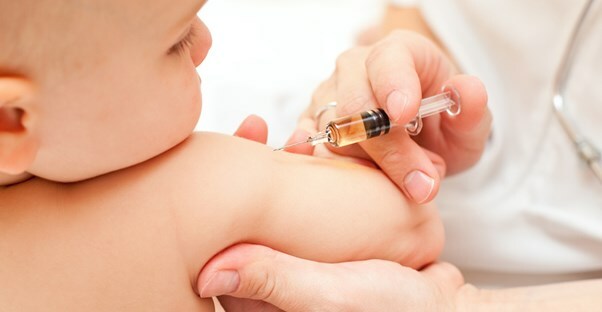 Ever since a flawed scientific study that suggested a correlation between childhood vaccines and autism was published in 1998, there has been a growing belief that vaccines cause autism. There is absolutely no legitimized evidence that vaccines and autism are linked. Still, the idea has instilled parental fear about the safety of vaccines. As a result, a surge of unvaccinated children is leading to outbreaks of other childhood diseases that previously were under control. This is actually one of five deadly vaccine myths. "There is an autism epidemic." Since autism diagnoses have jumped nearly 1800% from 1992 to 2008, some people have wondered if autism is becoming more common for recent generations. However, other factors must be taken into consideration, such as increased public awareness of the symptoms of autism, more media attention, better diagnostic tools, and the recent redefinition of autism to include a wider range of individuals on the spectrum. For example, Asperger's syndrome has recently been added to the autism spectrum. "People with autism have extreme intelligence." Perhaps as a result of the movie "Rain Man," some people have begun to perceive autism as a disorder that provides outstanding abilities related to math and memorization. While there are some savants who can calculate huge numbers in their heads (Jake Barnett for instance) or have photographic memories, most children on the spectrum don’t exhibit these kinds of extraordinary talents. They do, however, usually express intense interests in particular subjects, which in turn allows them to accumulate great deals of informationon their topics of choice. "People with autism experience no feelings." Because people with autism often have difficulty expressing themselves, some people believe that they have no feelings at all. This is false. The truth is that some have very deep feelings, but they lack the ability to communicate their feelings and sometimes have problems recognizing feelings in others. Many of the videos in Alot Health's "10 Amazing Videos that Will Change How You View Autism" article prove that people with autism do, in fact, experience emotions. Some people believe that autism is like an illness in that can be “cured.” While intensive behavioral treatment can help develop communication and social skills and some medications can reduce problematic behaviors, autism cannot be cured. Autism is a neurodevelopmental disorder that can hinder certain social aspects of patients' lives, but it can also enhance other intellectual capacities, so it shouldn’t be looked at as something that is purely negative. Many parents of children with autism would say that even if the disorder could be “cured,” they wouldn’t want that for their child, since it would fundamentally change who he or she is.